ROCK ON Bottom row, from left: Nikolas Taylor, Nicko Shapiro and Eshan Lyall. Middle row: Aaden Pepper, Lia Maldonado and Tanner Larsen. Top row: Gibson Neibert, Rock 101 director Ty Asoudegan, Dominic Reyes, Logan Schettkoe, Rock 101 director Paxton McMurray and Jaxon Dugre. Photo by Daniel Deitch. 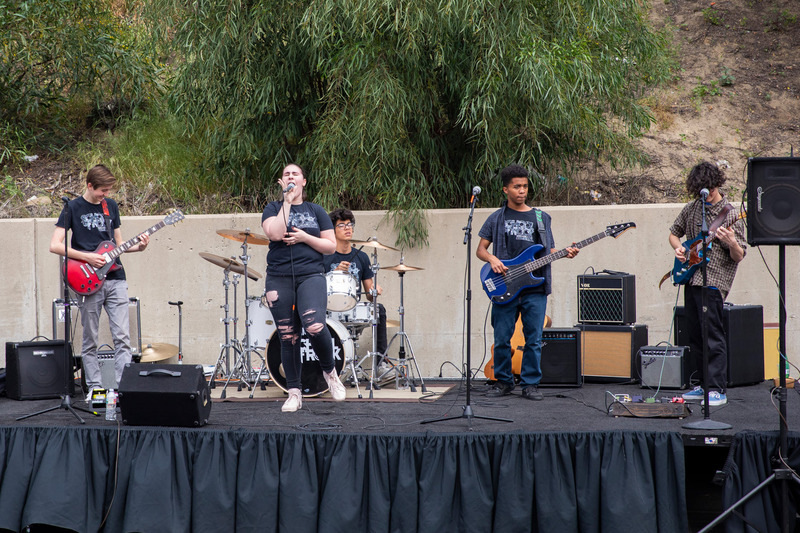 SHOWTIME Guitarist Michael Koch, singer Oli Hohman, drummer Zack Harji and bass guitarist Youssef Cherqaoui perform at last year’s Taste of Toluca event. Photo by Daniel Deitch. PICKING OUT A TUNE Left: Dominic Reyes and Nicko Shapiro on the keyboard and Lia Maldonado on the mic. Above: Tanner Larsen and Eshan Lyall on guitar. Photo by Daniel Deitch. 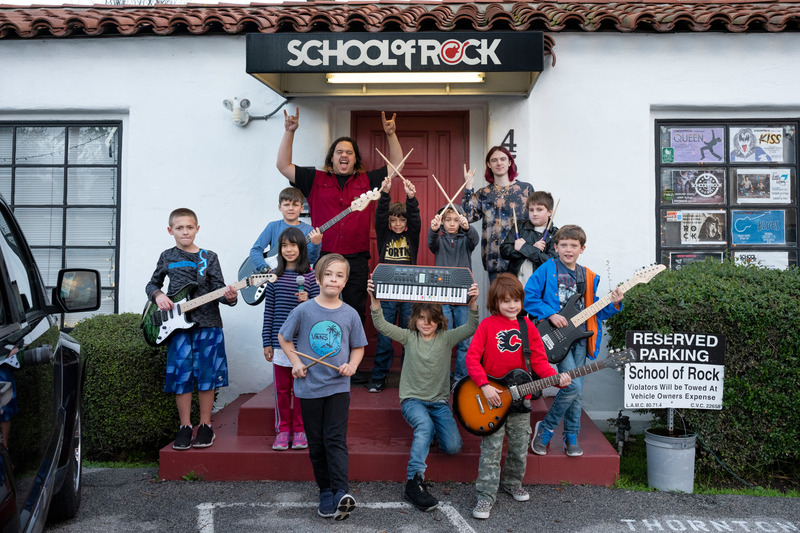 Anyone who’s attended a community event such as the Toluca Lake Holiday Open House or the Earth Day Celebration and Taste of Toluca has seen or heard the live musical performances put on by the neighborhood’s School of Rock. 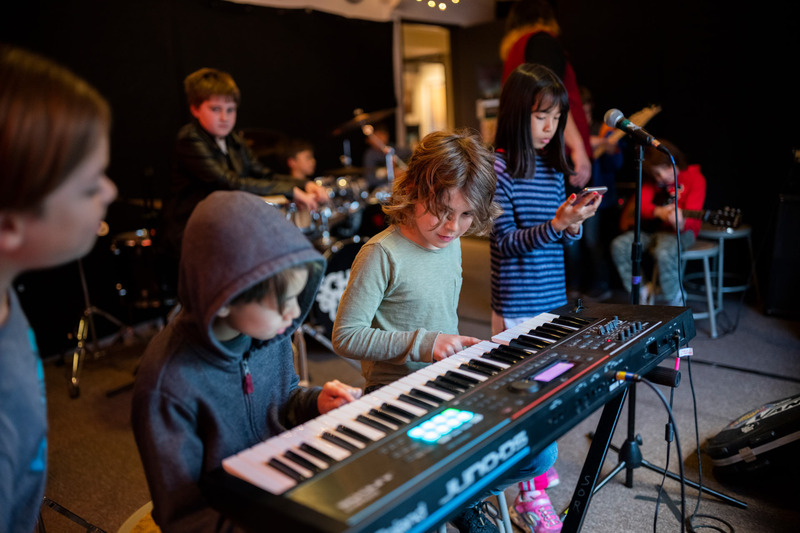 “Music is a universal language that connects us all,” says Tevis Sauer-Karlsson, general manager of School of Rock Burbank/Pasadena. This is particularly true in Toluca Lake, where music “solidifies the community that sits within a much larger city,” she says. Whether you’re a toddler or an adult active in the school’s programs, or simply a spectator “enjoying one of our community performances, music brings Toluca Lake together by including everyone,” she says. 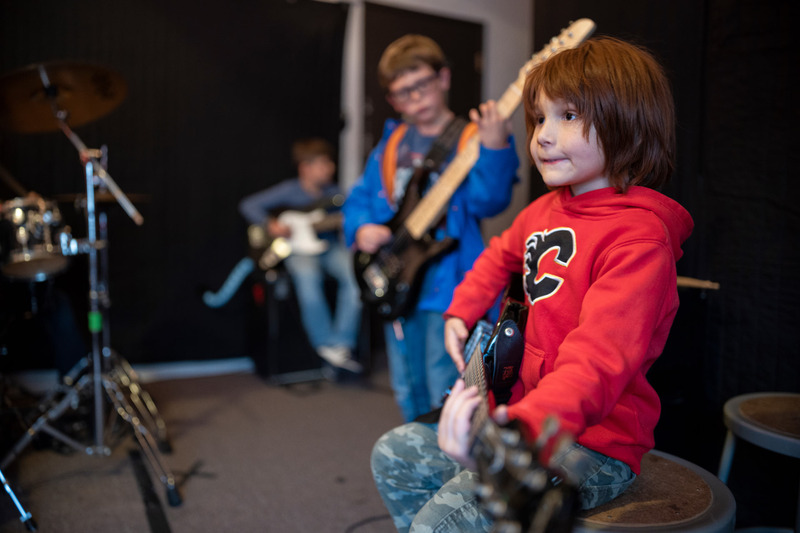 School of Rock has offered programs in the area for students of all ages and musical ability for the past decade. 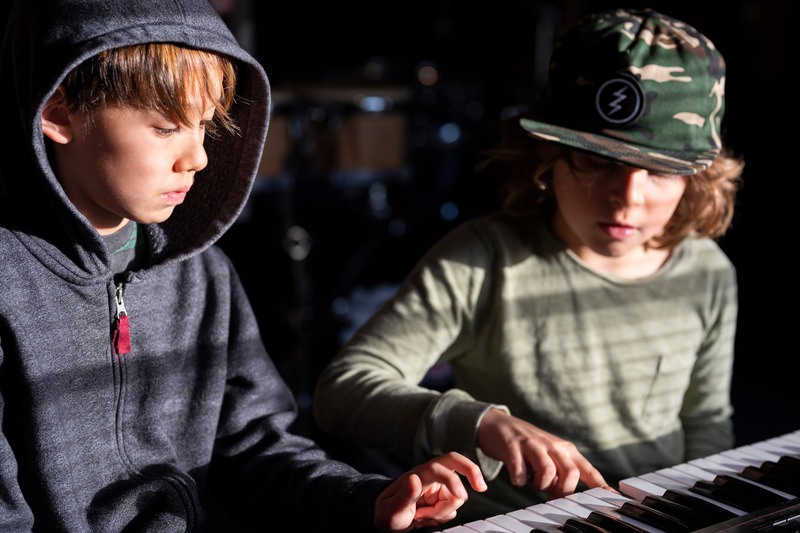 But “the bulk of what we do is in the 7–18 age range,” focusing on putting an actual show together to perform at a venue around L.A., Sauer-Karlsson says. 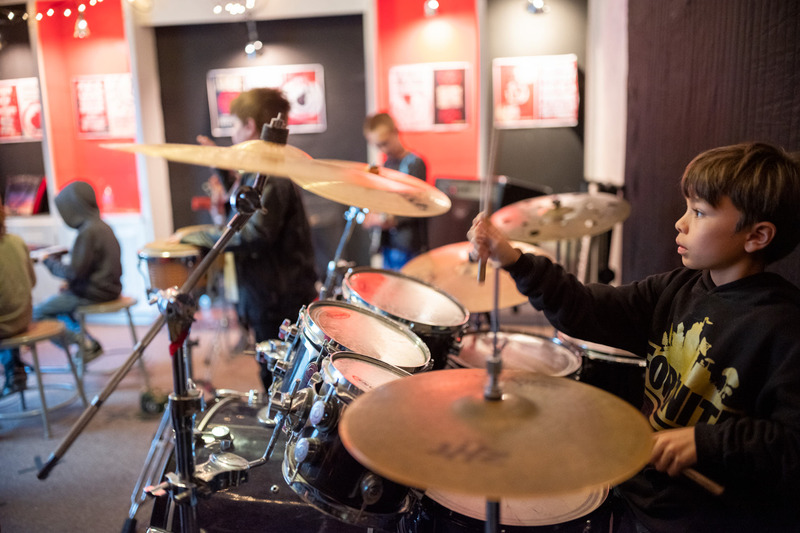 The school’s goal is to “teach kids to rock on stage and in life” — to be great citizens as well as musicians. 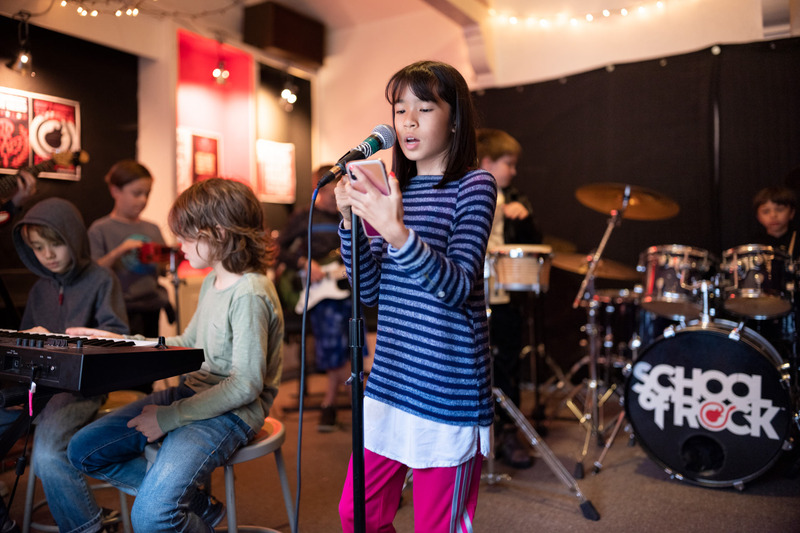 Not only that, but students also can earn the chance to audition annually for the School of Rock AllStars to tour and perform around the country. “Many of our students have gone on to have very impressive music careers. We don’t like to name-drop but we definitely have bragging rights!” Sauer-Karlsson says. So where can you watch the next budding musical stars? 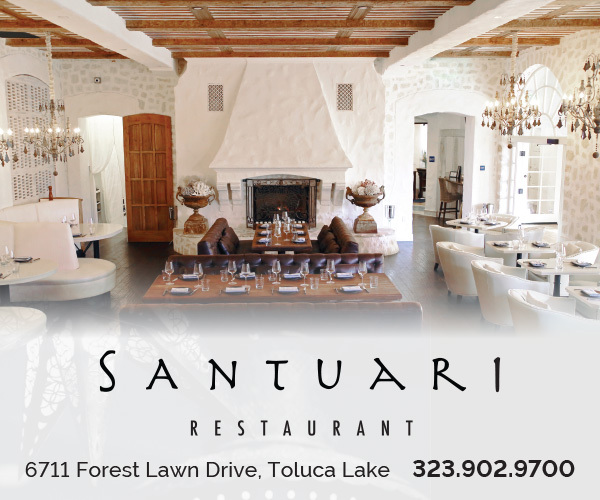 “We are looking forward to returning to the Taste of Toluca Earth Day event in April as well as Ladies and Gents Night Out in Magnolia Park on April 26,” she says. Other events have included the Toluca Lake Turkey Trot, Kling Street Kids fundraiser and Toluca Lake Pancake Breakfast benefiting the Firemen’s Fund. “We love meeting members of our community and invite everyone to stop by one of our performances!” Sauer-Karlsson enthuses. Meet some of the other organizations instrumental in inspiring harmony throughout our community; see our stories about the Burbank Community Band, the Mr. Holland’s Opus Foundation and Songs That Soothe.